Free & open to the general public. If you have a disability that may require accommodation for a conference-related event, please contact Ann Smith in the office of Disability Support Service, 121 East Annex, 581-2319 (Voice) or 581-2311 (TDD). 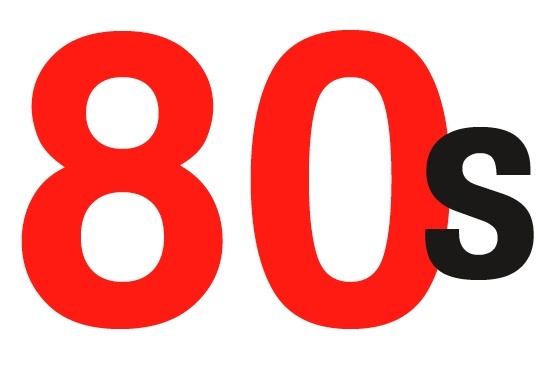 The program for the 80s conference is now available in PDF here. All conference events, with the exception of the banquet on Friday evening, are free and open to the public. We’re grateful to our friends at Small Press Distribution for helping us stock the bookfair that will be open each day of the conference featuring titles from the period and more recent publications by conference participants. If you’d like to get a headstart on your book buying, check out the SPD pages linked to below. Post a comment or drop us a line at NPF.Paideuma@umit.maine.edu and we’ll set you up with a promo code good for 30% off your purchases through July 1! Panelists & Other Participants: Barry Ahearn, Stephanie Anderson, Brian Ang, Robert Archambeau, Tyler Babbie, John Beer, Erica Bernheim, Tara Betts, Jeremiah Rush Bowen, Russell Brickey, Tony Brinkley, Patricia Fahamisha Brown, Tim W. Brown, Franklin Bruno, Dennis Buscher-Ulbrich, Charmaine Cadeau, Brian Carpenter, Alan Casline, Chris Chapman, Cris Cheek, Tomasz Cieslak-Sokolowski, Alan Clinton, Michael Clune, Sarah Cohen, Todd Colby, Carrie Conners, Rebecca Steffy Couch, Peter Culley, Richard Deming, Robert Dewhurst, Sara DiMaggio, Joseph Donahue, Joel Duncan, Sara Dunton, Dale Enggass, Natalia Fedorova, Annie Finch, Norman Finkelstein, Seth Forrest, Ed Foster, Alison Fraser, Stephen Fredman, Wendy Galgan, Ben Gillespie, Susan Gilmore, Alan Golding, Jeremy Green, Arielle Greenberg, Matthew Hall, Rob Halpern, Kaplan Harris, Kurt Heintz, David Herd, Laura Hinton, Donna Hollenberg, Bruce Holsapple, Paul Jaussen, Grant Jenkins, Megan Swithart Jewell, Meta DuEwa Jones, Patricia Spears Jones, Megan Kaminski, Erica Kaufman, Burt Kimmelman, Linda A. Kinnahan, Tom Konyves, Kimberly Lamm, Brooks Lampe, Abigail Lang, David Lau, Gary Lenhart, Nicholas LoLordo, Joe Luna, Kimberly Lyons, Jane Malcolm, Alec Marsh, Paul McComas, Ellen McGrath Smith, Mark Melnicove, Mark Mendoza, Edric Mesmer, Sharon Mesmer, Andy Meyer, Nate Mickelson, Peter Middleton, J. Peter Moore, Claudia Moreno Pisano, Laura Moriarty, Andrew Mulvania, Eileen Myles, Elinor Nauen, Svetlana Nedeljkov, David Need, Miriam Nichols, Aldon Lynn Nielsen, Peter O’Leary, Tom Orange, Richard Owens, Seth Perlow, Michael Peters, Patrick Pritchett, Adra Raine, Sean Reynolds, Joseph Richey, Christopher Rizzo, John Roche, Ryan Roderick, Douglas Rothschild, Jennifer Russo, Linda Russo, Matt Sandler, Trevor Sawler, Kathy Lou Schultz, Lytle Shaw, Evie Shockley, Jonathan Skinner, Margaret Anne Smith, Laura Trantham Smith, Daniel Snelson, Rick Snyder, Samuel Solomon, John Steen, Mecca Jamilah Sullivan, Kristen Tapson-Widenhoefer, Sharon Thesen, Robin Tremblay-McGaw, Demetres Tryphonopoulos, Keith Tuma, Ann Vickery, Anna Vitale, Catherine Wagner, Kenneth Warren, Donald Wellman, and Christopher Winkler. Keynote readings by Charles Bernstein, Mei-mei Berssenbrugge, Susan Howe, and Nathaniel Mackey. Keynote talks by Kevin Killian and Marjorie Perloff. Panel Presentations by Barry Ahearn, Stephanie Anderson, Brian Ang, Robert Archambeau, Tyler Babbie, John Beer, Erica Bernheim, Tara Betts, Jeremiah Rush Bowen, Russell Brickey, Tony Brinkley, Patricia Fahamisha Brown, Tim Brown, Franklin Bruno, Dennis Buscher-Ulbrich, Charmaine Cadeau, Brian Carpenter, Alan Casline, Chris Chapman, Cris Cheek, Tomasz Cieslak-Sokolowski, Alan Clinton, Michael Clune, Sarah Cohen, Todd Colby, Carrie Conners, Rebecca Steffy Couch, Peter Culley, Richard Deming, Robert Dewhurst, Sara DiMaggio, Joseph Donahue, Joel Duncan, Sara Dunton, Dale Enggass, Natalia Fedorova, Annie Finch, Norman Finkelstein, Seth Forrest, Ed Foster, Alison Fraser, Stephen Fredman, Wendy Galgan, Ben Gillespie, Susan Gilmore, Alan Golding, Jeremy Green, Arielle Greenberg, Matthew Hall, Rob Halpern, Kaplan Harris, Kurt Heintz, David Herd, Michael Hessel-Mial, Laura Hinton, Donna Hollenberg, Bruce Holsapple, Paul Jaussen, Grant Jenkins, Meta DuEwa Jones, Patricia Spears Jones, Megan Kaminski, Erica Kaufman, Burt Kimmelman, Linda A. Kinnahan, Tom Konyves, Kimberly Lamm, Brooks Lampe, Abigail Lang, David Lau, Gary Lenhart, Nicholas LoLordo, Joe Luna, Kimberly Lyons, Jane Malcolm, Alec Marsh, Paul McComas, Ellen McGrath Smith, Mark Melnicove, Mark Mendoza, Edric Mesmer, Sharon Mesmer, Andy Meyer, Nate Mickelson, Peter Middleton, J. Peter Moore, Claudia Moreno Pisano, Laura Moriarty, Andrew Mulvania, Eileen Myles, Elinor Nauen, Svetlana Nedeljkov, David Need, Miriam Nichols, Aldon Lynn Nielsen, Peter O’Leary, Tom Orange, Richard Owens, Seth Perlow, Michael Peters, Deborah Pintonelli, Patrick Pritchett, Adra Raine, Sean Reynolds, Joseph Richey, Christopher Rizzo, John Roche, Ryan Roderick, Jennifer Russo, Linda Russo, Matt Sandler, Trevor Sawler, Kathy Lou Schultz, Lytle Shaw, Evie Shockley, Jonathan Skinner, Margaret Anne Smith, Trantham Laura Smith, Daniel Snelson, Rick Snyder, Samuel Solomon, John Steen, Mecca Jamilah Sullivan, Megan Swithart Jewell, Kristen Tapson-Widenhoefer, Robin Tremblay-McGaw, Demetres Tryponopoulos, Keith Tuma, Ann Vickery, Anna Vitale, Cathy Wagner, Kenneth Warren, Donald Wellman, and Christopher Winkler.